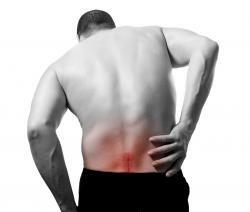 Lower back pain is something that many people deal with some on a chronic basis. It can vary in severity, ranging from mild and achy to sharp and debilitating. According to the American Chiropractic Association, approximately 31 million people are bothered by low back pain at any given time, making it one of the most common causes for missing work here in Lubbock and throughout the U.S.
For people with lower back pain, the cause is not always as obvious at it may seem. Some may blame the discomfort on long hours at work or sleeping in an unusual position, when the true cause of the pain can be found in the alignment of the spine and joints. Fortunately, Lubbock back pain treatment is available to directly address a variety of conditions known to cause lower back discomfort. One of the most common causes of lower back pain is a slipped or bulging disc. The gelatinous discs between the vertebrae are meant to absorb pressure in the spine. When one of them slips out of place or begins to bulge, it can put pressure on surrounding nerves and cause severe pain. Sometimes, a disc can cause sciatica, which is pain, tingling or numbness that radiates down one side of the body, into the buttock, leg and foot. Other conditions that can cause lower back pain include narrowed space around the spinal cord (spinal stenosis) and degenerative diseases, such as arthritis and spondylolisthesis. In some cases, chronic lower back pain is the result of brittle bones and vertebral fractures brought on by osteoporosis. Over-the-counter pain relievers are the standard back pain treatment in Lubbock and around the county. However, these medications only temporarily alleviate symptoms; they do nothing to treat pain at its source. Instead of covering up the problem, we here at Lubbock Advanced Physical Medicine believe in treating lower back pain at its source, providing permanent relief and eliminating symptoms for good. We offer spinal and postural screenings designed to identify areas of the body that are injured or prone to inflammation. Based on the results of our exam, we may recommend a combination of various treatments that will help relax muscles, reduce stress on ligaments, minimize pressure on the spine and restore joint mobility. Chiropractic adjustments are often the basis of our treatment plans, as they manipulate each of the spine’s components into proper alignment. Sometimes, spinal decompression may be necessary to gently pull compressed vertebrae apart and reduce pressure on the surrounding discs and nerves. To maximize treatment results, we may also recommend massage and physical therapy, which alleviate soreness and loosen stiff joints, expediting the healing process. If you have lower back pain, help is available. Contact our office for more information about back pain treatments in Lubbock. Call us today to find out how we can help you find permanent back pain relief.